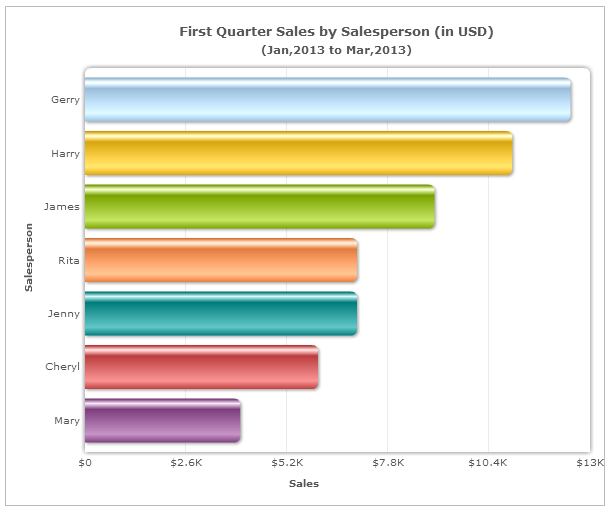 Both the Bar and the Column charts display data using rectangular bars where the length of the bar is proportional to the data value. Both are used to compare two or more values. However, their difference lies in their orientation. 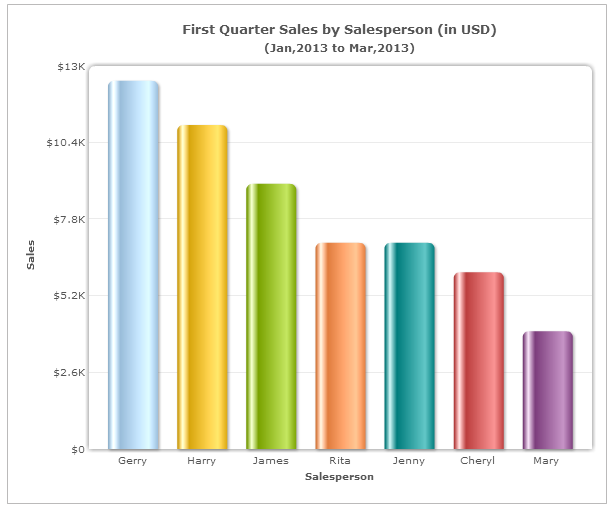 A Bar chart is oriented horizontally whereas the Column chart is oriented vertically. Due to their different orientations, they cannot be always used interchangeably. 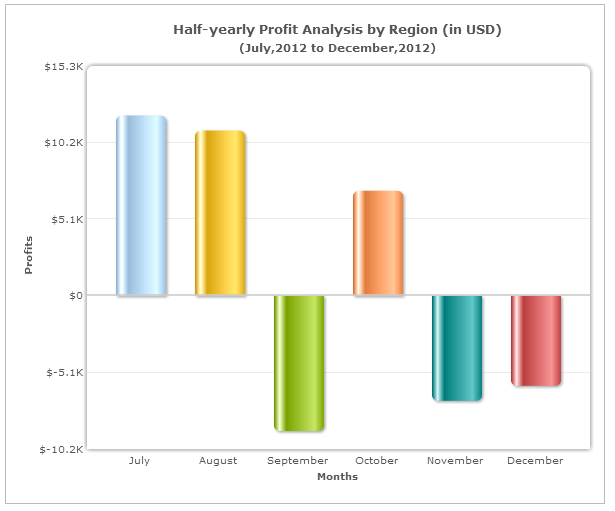 Column charts have limited space in the category axis. So, when your data labels are long, the category axis may look cluttered. You can reduce clutter by either slanting or rotating the labels. 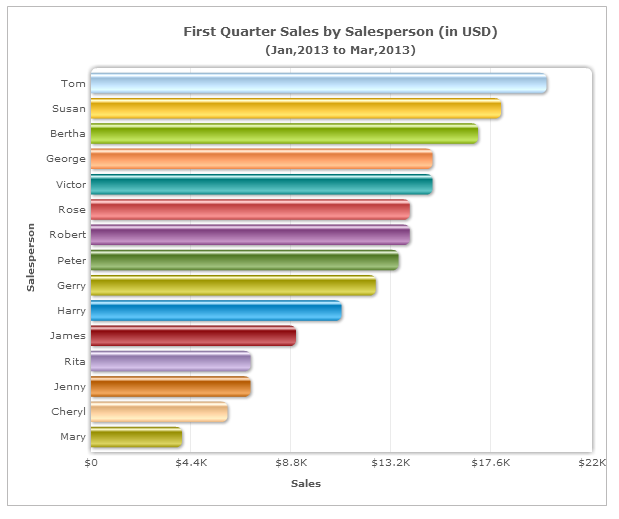 However, if you use the Bar chart, it will improve the readability of your chart manifold. 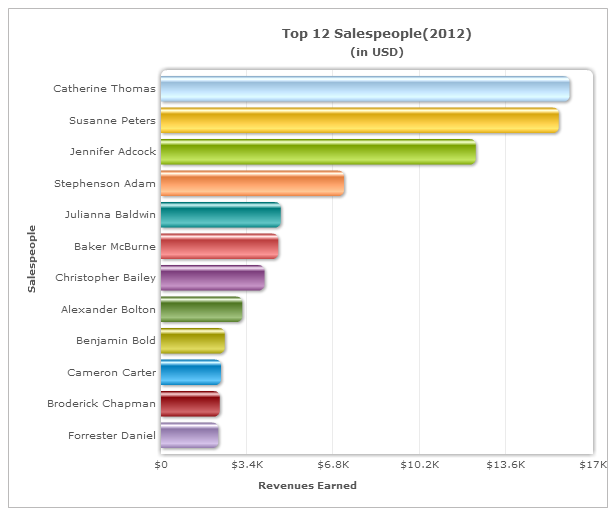 The Column chart is a good fit for a maximum of 10-12 data sets. However, when the number of data sets is larger than that, using a Column chart is not the best way forward. A Bar chart with the data sets placed one below the other would be a better choice in this case as it makes optimum use of space. 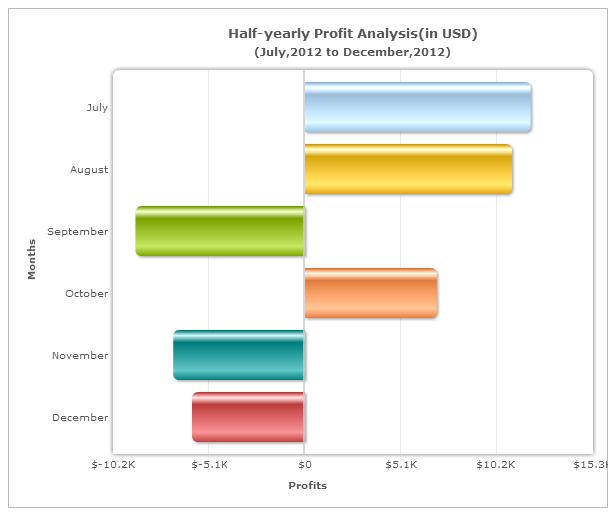 In a Bar chart negative values are displayed as bars on the left. However, we associate negative values more with downward direction (as used by the Column chart) than leftward (as used by the Bar chart). 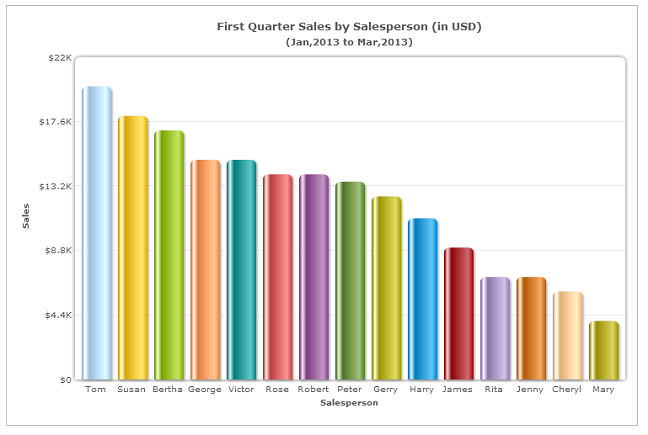 Therefore, use the Column chart when you have negative values in your data set. 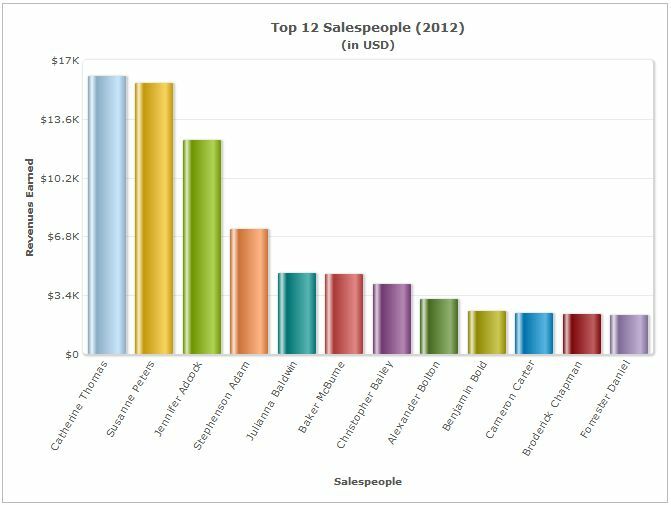 To sum up, while the Column chart can be used to facilitate all comparison-based analysis, it is better to use the Bar chart when your data labels are long or you have too many data sets to display. As mentioned in the post, column charts would have better visualization when compared to bar charts and for comparison based analysis. Do share your thoughts on why bar chars seems to be more effective. Yes, its possible to add legends for Pie charts. 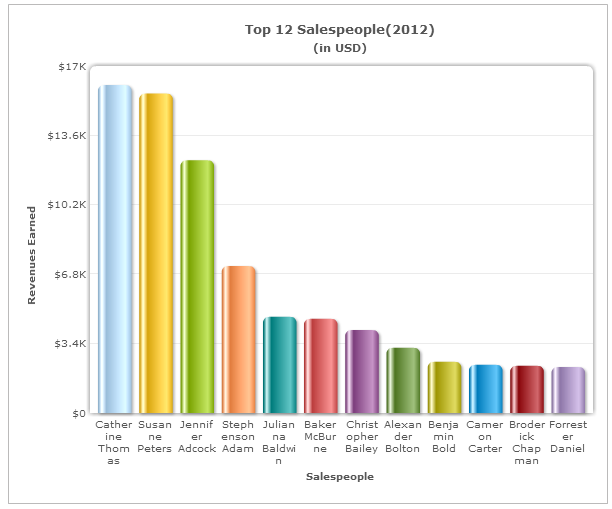 Do set the attribute “showLegend” as 1 in the chart element. Check out this fiddle. Your kind words will help us push our initiatives to create awareness around data visualization.